The application for the 2019 Fall semester is open! Tuition assistance is available. The Semester at WHOI is offered in the fall semester for advanced undergraduates (juniors or seniors) majoring in science, engineering or mathematics. The program is particularly well-suited for students who are considering an advanced degree in ocean sciences, ocean engineering or related fields in the geosciences. Students from underrepresented groups are encouraged to apply. WHOI actively recruits underrepresented minorities in ocean science as defined by the National Science Foundation (African-, Hispanic- and Native-Americans, and Pacific Islanders) in all of our education programs. A current CV or resume (PDF document) that shows educational background and work experience. A current unofficial transcript (PDF document.) Note: An official transcript will be required from any applicant who is admitted to SAW. A completed Course Record worksheet (within the application) listing relevant undergraduate coursework by subject category, primary textbook used for each course and the grade received for completing the course. 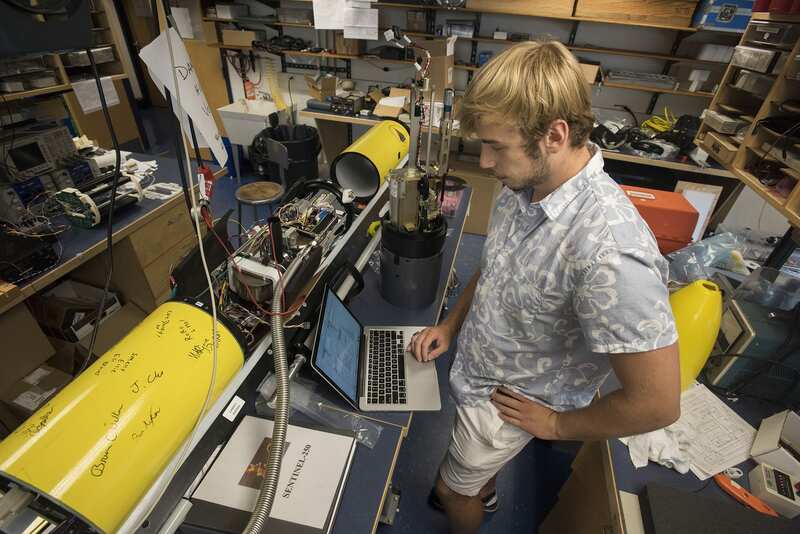 How would a semester at WHOI benefit your education and career plans? What skills do you expect to obtain from this research experience? What skills do you have that would make you a good researcher? Have you previously been involved in research projects as part of your classwork, a job or an internship? If so, what skills did you apply or gain from this experience? What areas of marine research are you interested in and why? You may refer to a specific lab at WHOI or a general area, see WHOI Areas of Research. You may access the on-line application form by using the link on the right. Once you have submitted the application form, use the 'Application Status Login' link to submit any remaining application materials, or to monitor the status of your application. We have a rolling admissions policy. Acceptance decisions will be made approximately 3 weeks after application and supporting materials are received. Final application deadline is April 30, 2019. Please Note: Applicants must direct their reference writers to the References page on this website. References listed on a student's application will not be automatically contacted by the application server. The Woods Hole Oceanographic Institution is an Equal Employment Opportunity/Affirmative Action Organization.